We are proud to be working with the French Embassy to sponsor student travel bursaries to attend the York Festival of Ideas. The Franco-British focus will take place on Saturday, 15th June, and this year's themes are “Fashion, Food, and Feminism”. In conjunction with the French Embassy, we are extending a special invitation to UK postgraduate and undergraduate students studying French history and culture to attend the conference, by granting a limited number of travel bursaries (up to £100) to cover costs from within the UK to York on Saturday, 15th June. Students who are awarded the bursaries will be asked to write a 1000-word report on one of the sessions (see programme below). The reports will then be published online by the Society for the Study of French History (SSFH), the Association for the Study of Modern and Contemporary France (ASMCF) and the French Embassy in London (subject to editorial quality control). The panel you would like to report on (the three sessions on Saturday are outlined below). The closing date for application is 10 May 2019. There will be a selection process and you will be informed by e-mail on 17 May 2019 if your application is successful. A refund of travel costs will be provided after the conference on submission of report, tickets, receipts and bank account details. Jack Dickens (Cambridge) for a dissertation entitled, The Revolution in Saint Domingue and the Historicity of Liberty, 1791-1797. The runner-up was Deborah Herzberg (Cambridge), with a dissertation entitled Louis XIV's mistresses and the political implications of favour, 1666-1674. The panel commended Jack's dissertation with the following description: This compelling, engaging and sophisticated dissertation is fluently written and shows genuine interpretative imagination. Drawing on a previously unknown document, Truguet's Mémoire sur Saint- Domingue (1796), it demonstrates a remarkable appreciation of how this 'administrator-agent' understood the struggle for liberty in Saint-Domingue. The dissertation also speaks with confidence about Truguet's 'geography of liberty' and his Eurocentric visions. It provides a robust critique of Trouillot’s Silencing the Past and engages in an inventive way with different historiographical paradigms and theoretical approaches, including Hartog's Régime d'historicité. In sum, this dissertation offers a new interpretation of how French Republicans understood the events in Saint-Domingue (1791-97) and how they conceived of and sought to bring about a 'free and French' colony in the Caribbean during those brief years. James Coltée Ducarel’s letters sent from France to his elder brother Andrew in London are a hitherto unknown resource for the study of the Enlightenment and the French Huguenots in the mid-eighteenth century. Read more about this new edition of their correspondence here. The SSFH provided funding for Luke Giraudet to attend the International Congress in Kalamazoo and present his research on “Rumour, Propaganda and the Parisian Massacres of 1418”. Read more about the conference and his research here. The Editorial Board of H-France invites applications and nominations for the position of H-France Editor-in-Chief. As H-France is the largest scholarly organization for Francophone history and culture outside of France, its Editor-in-Chief is in a unique position to build and deepen relationships among scholars and scholarly organizations across the globe, to speak on issues of professional concern to scholars of France, to promote and extend the rich tradition of scholarship about France and the Francophone world, and to help shape future scholarship, including emerging digital technologies, amidst the intellectual and political challenges of the 21st century. The Editor-in-Chief is a volunteer position. H-France is a non-profit organization. Its services are available free-of-charge to its subscribers, and its work is carried out by teams of volunteer editors. The H-France budget, drawn from voluntary donations, covers the expenses the Editor-in-Chief incurs in this work. Read more about the person qualifications and application process here. The journal Suite Française is seeking contributions for a special issue on Balzac. See more details (in French) here. The SSFH provided funding for Arthur Ghins to attend the 4th Political History PhD Conference in Leiden in October 2018. Read more about the conference and Arthur's research here. In 2017, Will Clement held the Ralph Gibson Postgraduate Bursary for his research into housing in nineteenth-century France. Read more about Will's research, and a conference bursary he received to travel to the Urban History Group Annual Conference in Keele in 2018 here. The SSFH supported a three-day interdisciplinary and bilingual conference on the 'Mediality of Smells' in Oxford in 2018. You can read more about the conference in this report by Jean-Alexandre Perras and Érika Wicky here. The SSFh suppored Tom Hamilton, Alex Robinson, and Edward Wickham (University of Cambridge) to organize an event exploring the musical cultures of the Wars of Religion. You can read a report on the event here. Please see here for the CFP for the two-day conference 'Noblesse oblige? : Barons and the Public Good in the Middle Ages' to be held on the University of East Anglia campus in Norwich on the 3rd and 4th of April 2019, with a keynote address by Prof. Martin Aurell, director of the Centre d’Études Supérieures de Civilisation Médiévale, Université de Poitiers, and author of many books on aristocratic culture. The Society recently provided funding for Professor Richard Golsan to visit the University of Chichester and discuss his work on Vichy France. Read more in the report by Andrew Smith (Chichester) here. The SSFH recently awarded funds to Emma Kavanagh (University of Nottingham) to undertake a week of archival research in Paris at the Bibliothèque nationale de France and the Bibliothèque-Musée de l’Opéra for her MA dissertation on male characters in Claude Debussy’s Symbolist opera Pelléas et Mélisande. Read more here. The Society for the Study of French History is seeking a number of early- and mid-career scholars to join its Committee as Ordinary Members, with a view to taking a more active role in the running of the Society in due course. You can read more about the current aims and activities of SSFH on the homepage of the Society. We are currently engaged in a process of reviewing and updating our structures, exploring new avenues for the support of postgraduate students and ECRs, and reviewing our public and educational engagement activities. Our Society values people from all backgrounds, lifestyles, and heritages. We believe that diversity is the best way to amplify the contribution of all our members and supporters, and welcome applications from all sections of the community. If you are interested in helping us in these developments, please send a short CV, with a covering letter indicating areas of our activity you might like to engage with, to the Society's Secretary, Andrew Smith, by 31 October 2018. Informal inquiries are welcome, and may be addressed to the Secretary, as above, or to the President, David Andress. A Job Description for the post of Ordinary Committee Member can be found here. The SSFH recently funded a research trip undertaken by Talitha Ilacqua (King's College London) for her PhD on local and national identities in the creation of a French national identity in the Basque Country from 1785 to 1870. Read more here. The SSFH recently funded a research trip undertaken by Kirstyn Raitz (Durham University) for her PhD project on 'Prostitution, Space and Social Control in Eighteenth-Century Paris and London'. Read more here. Over the 9th and 10th June, this second edition of a Date With History Imagining Revolutions will bring together top historians including Peter Mandler of the University of Cambridge, Laura Lee Downs of the European University Institute, Florence Tamagne of the University of Lille, Helen Rogers of Liverpool John Moores University, Mike Savage of the London School of Economics (LSE) and David Andress of the University of Portsmouth. 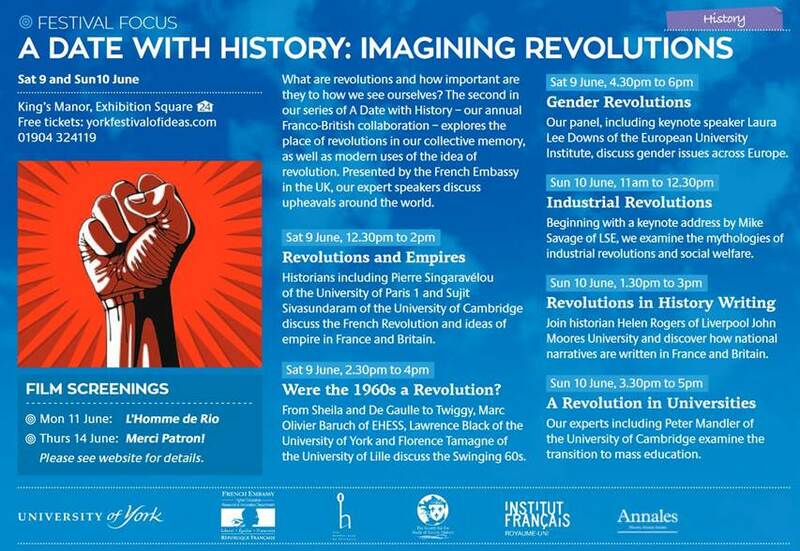 Over the weekend, leading historians from France and the UK will discuss how national narratives are written, from revolutions and empires, to the industrial revolutions in France and Britain. For more details, see the programme here. The SSFH funded research by Gareth Oakland (RHUL) for his PhD on 'Commemorating the Vendée wars under the Third Republic 1870-1914'. Read the full report here. The SSFH funded research by Tabitha Baker (University of Warwick) for her PhD on 'The Embroidery Trade in Eighteenth-Century France'. Read the full report here. 31st January 2018: CFP: Un Monde en Transition(s)? The Cahiers d'histoire immédiate are seeking submissions for a special issue on 'A World in Transition(s)?' to be published in 2018. The call for papers (in French) can be found here. Over on the French History Network Blog you can find a written report and audio recording of the 2018 Douglas Johnson Memorial Lecture. Professor Malcolm Crook discussed 'How the French and British Learned to Vote'. Link. The SSFH funded research by Vittoria Princi (University of Oxford) for her DPhil provisionally entitled "Militarised cities? Housing and garrisoning the French Empire’s troops in the Napoleonic Kingdom of Italy". Read the full report here. The CFP for the joint Association for the Study of Modern and Contemporary France and Society for the Study of French History Postgraduate Study Day can be found here. The SSFH funded research by Shyam Sridar (University of St Andrews) for an MLitt entitled "Un génie audacieux": La Bourdonnais and his colonial policy in the Mascarenes'. Read the full report here. Members of the Society will have been saddened to hear of the death of Bill Beik on 31st August. His friend David Parker writes that Bill 'was one of the most talented of that galaxy of Anglo-American historians who transformed our understanding of France in the age of absolutism.' Read more here. The Society for the Study of French History has a vacancy on the committee for the role of Reviews Editor. The primary role of this position is to manage the solicitation and production of book reviews for the journal and to report to the committee on flow of books for review and receipt of copy. We would like to welcome applications to the committee, and have prepared a description of the role to help outline what is involved and this can be found on the Society website here. To fulfil this role, applicants should be members of the society (or willing to become one) and ideally be based in the United Kingdom or the Republic of Ireland, as attendance at meetings is expected. Applications should consist of a CV plus covering letter (of maximum 1 page) indicating reasons for applying & relevant organisational experience. Applicants should support their application with the nomination of an existing member of the society. We particularly welcome applications from black and minority ethnic candidates as they are under-represented on our Society committee. Please submit any applications to the Society Secretary Dr Andrew WM Smith (a.smith@chi.ac.uk) by 12 noon on Monday 30th October for consideration at our committee meeting in January 2018. Please direct any queries to the same address. The Society for the Study of French History has a vacancy on the committee for the role of Reviews Editor. The primary role of this position is to represent the views of postgraduates to the committee. Please submit any applications to the Society Secretary Dr Andrew WM Smith (a.smith@chi.ac.uk) by 12 noon on Monday 3rd December for consideration at our committee meeting in January 2018. Please direct any queries to the same address. Dr Geoffrey Ellis FRHS, emeritus fellow and former tutor of history at Hertford College Oxford, passed away peacefully at home on 20 August 2017. Geoffrey will be best known to members of the SSFH for his work on the Napoleonic Empire, including Napoleon’s Continental Blockade: The Case of Alsace (1981), The Napoleonic Empire (1997) and the profiles in power volume dedicated to Napoleon (1997). A meticulous scholar and a dedicated teacher, he was held in great affection by his students. The SSFH supported Sean Patrick Marrs to conduct research for his MLitt thesis 'The Enduring Importance of Rome: France and the Papal conclave of 1774-75'. Read more here. The Society for the Study of French History has a vacancy on the committee for the role of Conference Officer. The primary role of this position is to provide continuity and liaison between the Society and those individuals and institutions hosting each Annual Conference. We would like to welcome applications to the committee, and have prepared a description of the role to help outline what is involved and this can be found on the Society website here. To fulfil these roles, applicants should be members of the society (or willing to become one) and ideally be based in the United Kingdom or the Republic of Ireland, as attendance at meetings is expected. Applications should consist of a CV plus covering letter (of maximum 1 page) indicating reasons for applying & relevant organisational experience. Applicants should support their application with the nomination of an existing member of the society. David Nicoll (University of Warwick) was awarded an SSFH research grant to conduct preliminary research in Paris for his project on Protestant nobles in the sixteenth century. Read more here. At the AGM in Strathclyde, the Society elected Professor David Andress (University of Portsmouth) as Chairperson. The Society offers its thanks to the outgoing Chair, Professor Maíre Cross for all of her hard work, passion, and dedication to the promotion of the study of French history over the three years that she has held the post. William Clement (Oxford) and Avner Ofrath (Oxford) have been jointly awarded the 2017-8 Ralph Gibson postgraduate bursary. For more details on the bursary, see here. The SSFH awarded Dan Callwood (Queen Mary, University of London) the 2016-7 Ralph Gibson postgraduate bursary for his work on‘Re-evaluating the French ‘gay liberation’ moment 1968-83’. 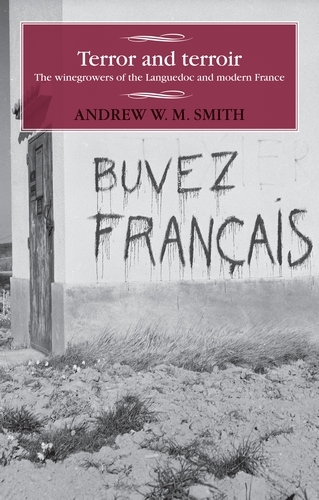 The thesis offers a reappraisal of the process of ‘liberation’ for homosexual men in France from the events of May 1968 until the onset of the AIDS crisis in 1983. Read more here. The SSFH recently supported a workshop held at the University of Leeds on the Pencheon Collection and the French Revolution. Read a full report here. The SSFH supported this multi-disciplinary, international workshop on 'Digestive Health in Nineteenth-Century Culture', which was held at the University of Aberdeen on 26–27 May 2017. 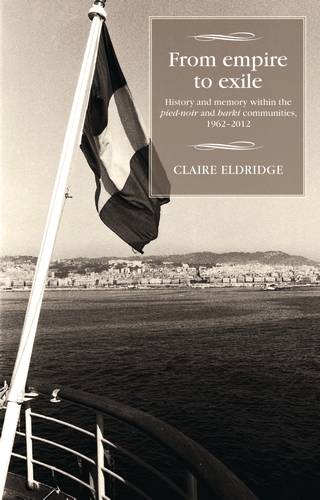 We are delighted to announce that Terror and Terroir: The Winegrowers of the Languedoc and Modern France by Andrew Smith and From Empire to Exile: History and Memory Within the Pied-Noir and barki Communities 1962-2012 by Claire Eldridge are among the nominations for the Royal Historical Society's Gladstone Prize. The Prize is for "a work of history on a topic not primarily related to British history that is the author’s first sole book publication". Both are members of the Society, and both books are published through the Society's book series with Manchester University Press, 'Studies in Modern French History'. And read more about the book series here. Vanessa Wright was recently funded by the SSFH to attend the International Congress on Medieval Studies at the University of Western Michigan. Read her full report here. The Society for the Study of French History is looking for poster contributions from current Masters students who are working on any aspect of French history. For more details, see here. Michael Joseph (Pembroke College, Oxford) as recently awarded a grant to spend time in Aix-en-Provence researching the impact of military service in the First World War on ideas of citizenship in Britain and France’s Caribbean colonies. Read the full report here. The editors of French History seek articles for a special issue on the theme of “French Colonial Histories from Below” to appear in autumn 2019. For	more information, see here. In October 2016, Northumbria University’s Institute of the Humanities hosted the first Society for the Study of French History Visiting Scholar: Professor Dominique Kalifa (Université Paris 1, Panthéon-Sorbonne), a leading figure in nineteenth-century cultural history and Director of the Centre de recherches en histoire du XIXe siècle at the Sorbonne. The visit, organised by Dr Laura O’Brien with the support of colleagues at Newcastle University and Durham University, was intended to develop the relationship between France and scholars of French history in the North East of England, and to consolidate the North East’s status as an important centre for the study of French history and culture. Read more here. 'Applications are invited for the Deakin Fellowship for the academic year 2017-2018. The Fellowship is intended to support scholarship related to France in the College's areas of interest, which include: Modern History, Politics, International Relations, Economics, Anthropology, Sociology and Social Policy. A particular interest in Europe is essential.' Further particulars available here. 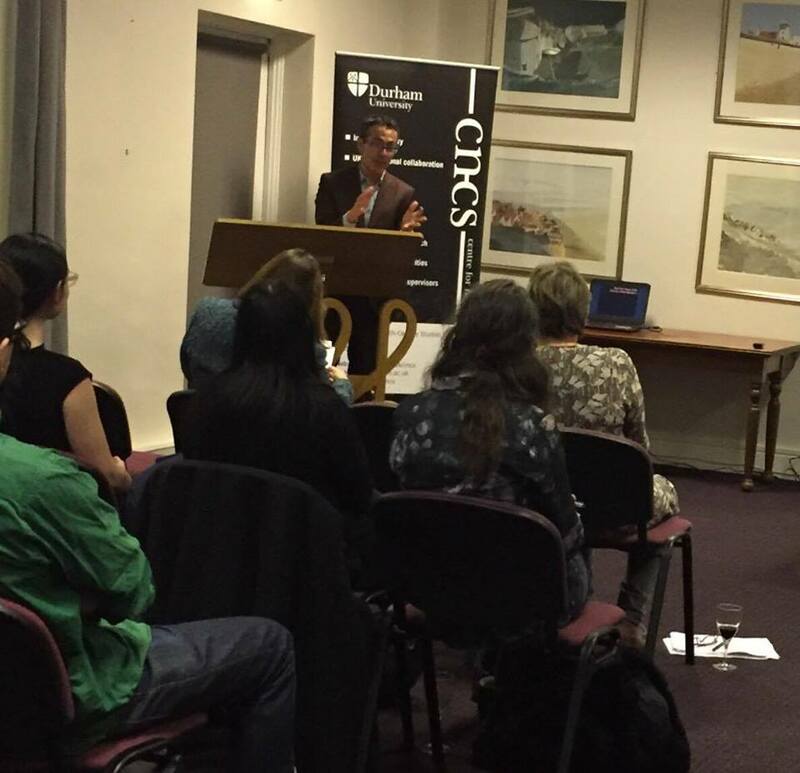 The SSFH supported a colloquium held at the IHR in September on the Crusades in France and Occitania. The SSFH supported Cherie Prosser (University of Sheffield) to conduct research into posters and prints at the Bibliothèque Nationale, the Musée des Arts Décoratifs, the Musée de l’Armée, and the Musée d'Histoire Contemporaine. In May 2016, the SSFH generously supported an international conference on confrontation, collusion, and cooperation in wartime organised at the University of Sheffield by Tim Baycroft, Bernard Wilkin, Maude Williams, Cherie Prosser, and Laurien Vandenhout. For further details about discussions on the day, see the full report here. The SSFH recently provided support for doctoral student Philippa Read (Leeds University) to visit the Bibesco collection at the Harry Ransom Center in Austin to do research for her thesis on female heroism in the First World War. The SSFH recently provided support for doctoral student Jasmine Calver (University of Northumbria) to visit the archives in Paris to do research for her thesis on anti-fascism, feminism, and communism in the late 1930s. In June 2016, the SSFh supported a conference on 'Sharing Space in the Early Modern World' at the University of Oxford. For more details about the conference, please see the report here. In June 2016, the SSFH generously supported an international conference organised at the University of London Institute in Paris by Dr Laure Humbert (University of Manchester) and Dr Charlotte Faucher (Queen Mary, University of London). The conference brought together scholars from France, Britain, North American and Israel who work on under-studied facets of the French external Resistance during the Second World War. We would like to welcome applications to the committee, and have prepared descriptions of the roles to help outline what is involved. The descriptions of these roles can be found on the Society Website (please click on the roles above). To fulfil these roles, applicants should be members of the society (or willing to become one) and ideally be based in the United Kingdom or the Republic of Ireland, as attendance at meetings is expected. In addition, the Committee noted that it would especially welcome applications from medievalists to join the Committee, and would expect to ask the incoming Committee Member to serve on the Prize Panel for the Undergraduate Dissertation Prize. Please submit any applications to the Society Secretary (andrew.wm.smith@ucl.ac.uk) by 12 noon on Monday 8th August. Please also direct any queries to Dr Andrew WM Smith. "An alumnus of the department has generously funded an undergraduate scholarship in memory of his favourite teacher at UCL – distinguished historian Professor Douglas Johnson. Professor of French History at UCL from 1968, Johnson became both Head of Department and Dean of Arts and published widely, contributing to Anglo-French relations. He was also recruited by the then Prime Minister Margaret Thatcher to provide an alternative view of France to that of the Foreign Office. After his retirement in 1990, Professor Johnson became a Chevalier (Knight) and then Officier of the Légion d’honneur (the highest order of merit in France), and died in 2005. The new scholarship will enable a student in financial need to study for a degree at UCL History, commencing in September 2016. The value of the award is £12,500 per year based on a three year programme. As a department we are extremely grateful to our benefactor for making this possible; their gift will help to further our efforts to widen participation at UCL, ensuring that access to education is based entirely on merit." The Society welcomes contributions from members and the public for the news section of the website. Items of interest might include successful funding bids, events, and exhibitions relevant to French history in the broad sense.